The BRICS nations (Brazil, Russia, India, China, and South Africa) actively joined in process of transformation of institutes of global financial market's management, having created New Development Bank. This institute according to most of analysts can be considered as potential competitor of the World Bank and as one of elements of so-called system of “parallel institutes”, which as required can become replacement American-centered system of international financial institutions. Progress of newly created New Development Bank in- much will depend on that economic power which will characterize BRICS economies. And a key condition of long-term stable economic growth is availability of global advantages of the BRICS countries. 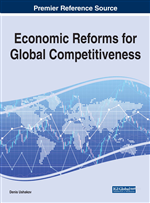 This article is devoted to the analysis of changes BRICS global competitiveness factors. The BRICS nations (Brazil, Russia, India, China and South Africa) represent real economic power at the present stage of world economy development. 26,7% of the world’s territory, 41,8% of the population of Earth, more than 21% of world GDP, 8% of global economic resources and 45% of all labor power of the planet, 17,3% of international trade, 12,7% of the global market of services, 20,5% of global flows of foreign direct investments, 45% of world agricultural production is the share of the BRICS (Strategy, 2015). And dynamics of these indicators’ growth is very high since 1990 (Table 1). In last ten years contribution of the BRICS nations to growth of world economy exceeded 50% (Zhou, 2015). It is one of the largest international organizations which members provide their presence directly at several strategic regions of the world. The experts (Toloraya, 2016) often note the territorial dissociation of BRICS members as restriction for large-scale interaction. But in the context of finance globalization it shouldn’t be considered as a serious obstacle. On the contrary such territorial arrangement allows influencing practically all significant regions of world economy. Each country has considerable weight in the region. Russia - in the former Soviet Union and in the Euroasian systems, China – first of all, in Asia, but actively extends the influence almost everywhere, Brazil – the leader of South America, and South Africa – the African leader (Ushakov, 2016).